I was asked to cut foam cores for a Spitfire for a fellow builder and decided that I would cut myself a set of cores as it takes quite a bit of time to get all the required bits out and organised. 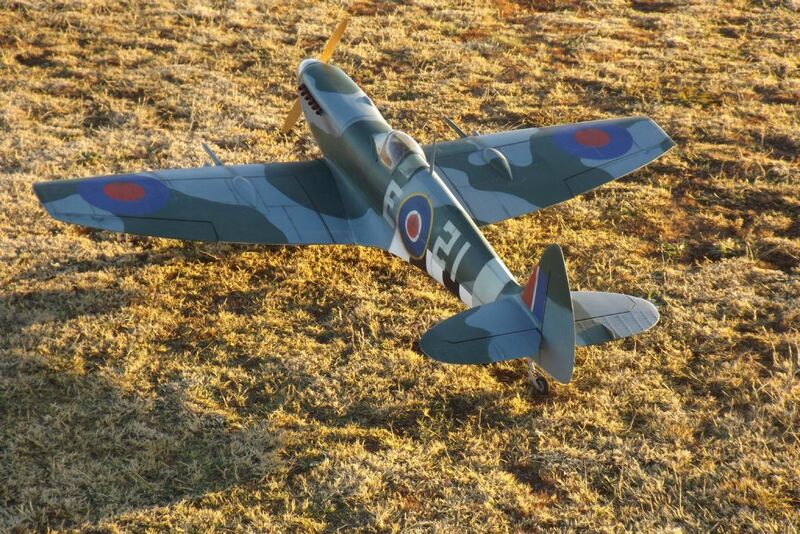 The Spitfire is from the Mick Reeves 1/6 plan and is a great flying Spitfire, this is now my 4th example! I have decided to try and keep as light as possible and will be electric. My previous 2 had 3 cell set ups, this one will have 8 cells as I want to try have a model that flies with the full size momentum. 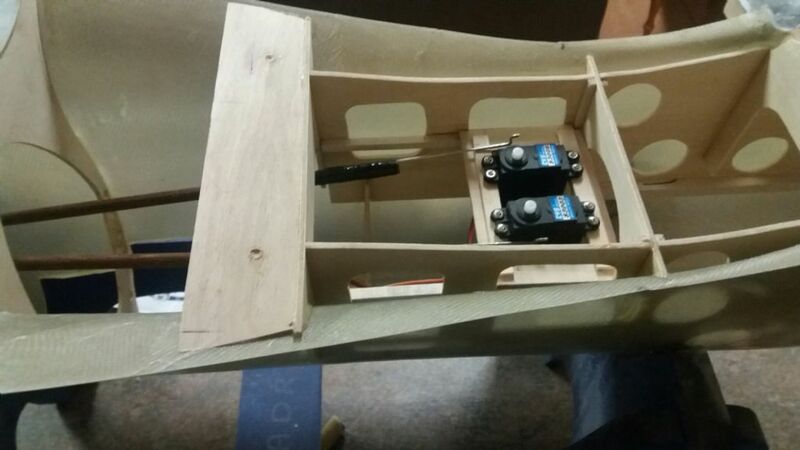 Throttle will be used as a primary control with lots of throttle management. 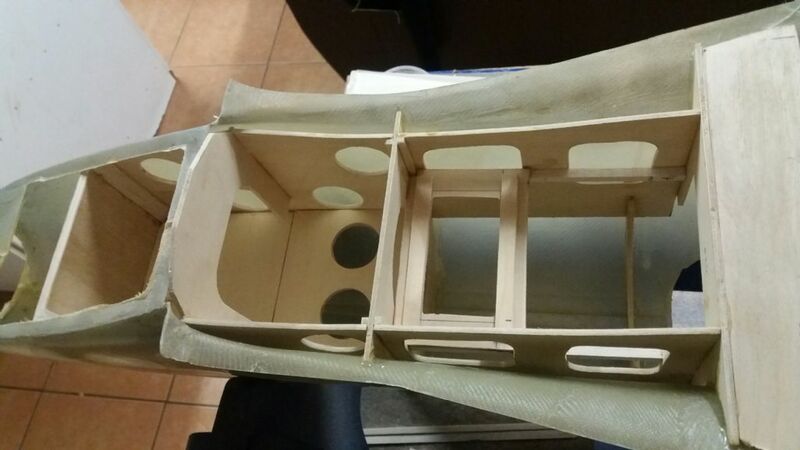 Cores are light 12db foam and skinned with 1.5mm balsa applied with latex. Most say foam is heavier than built up but with the right material selection it can be lighter and a lot quicker this way. The cores are accurate and follow the plans in shape. 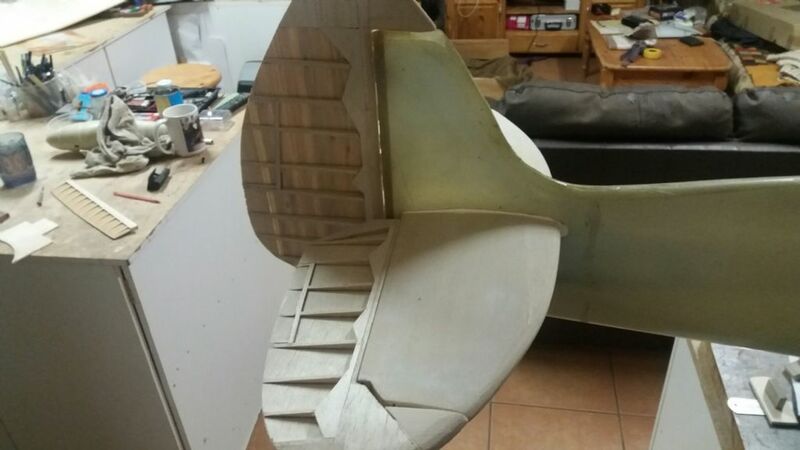 The fuselage is fibreglass with a plywood structure to hold the heavy bits. This is the progress after just over a weeks work, I wanted to be further along but a house and family does have its demands! I am a fan of foam wings and i too find the weight argument is not that simple. I have head foam wings that were like bricks, but also have others that virtually float away. 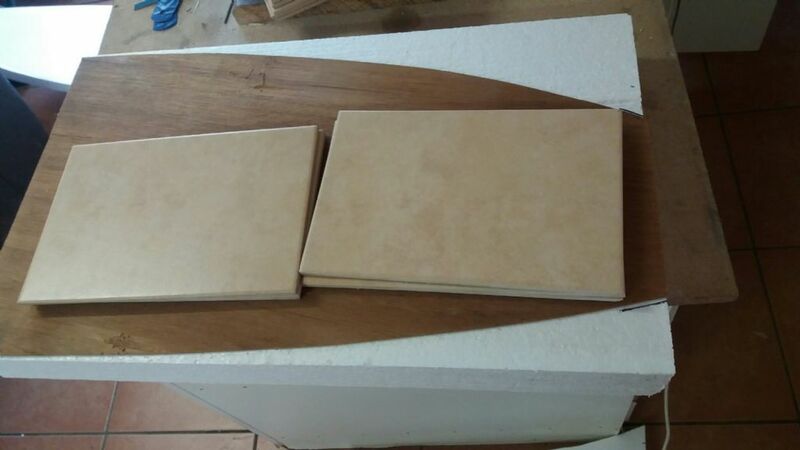 I think choice of foam and choice of glue for the veneer is important for light weight and high strength. 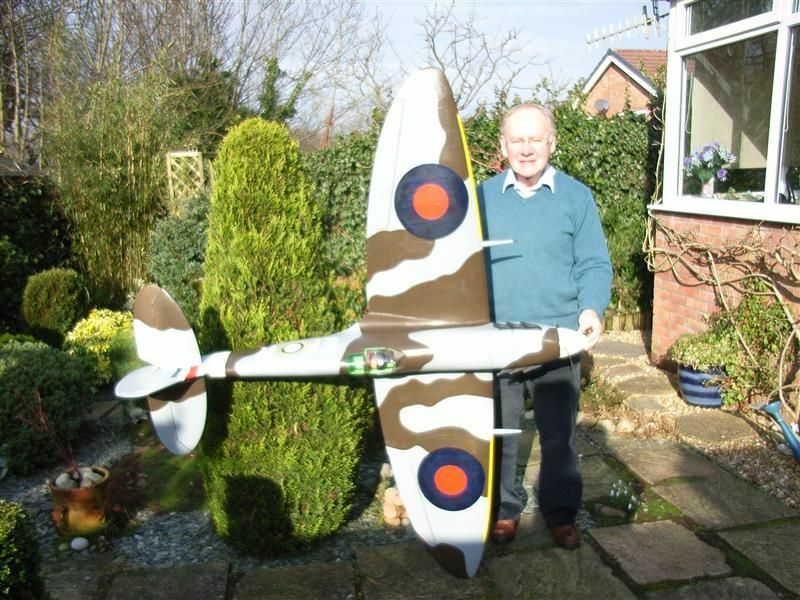 Dont do too good a job of the model though or you might find a queue of people wanting wings for spitfires! 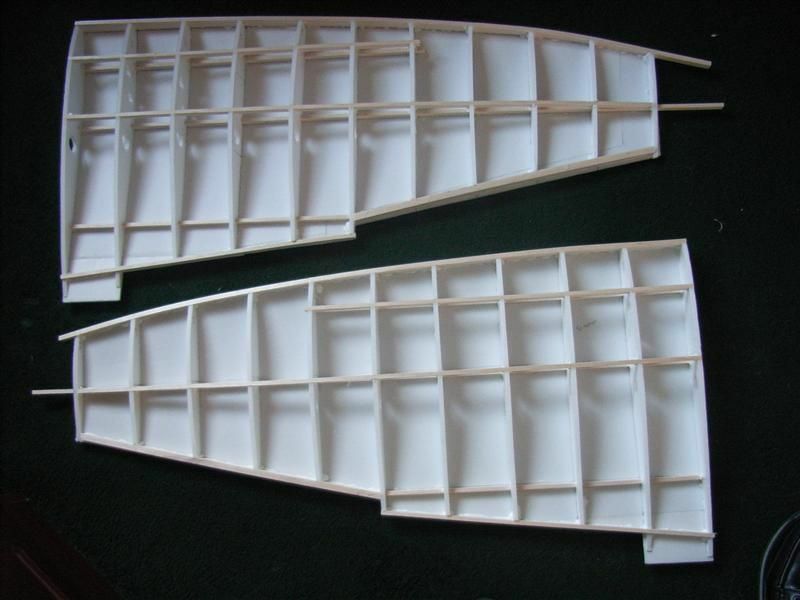 Built up foam wings, (and fuselage, tail etc), for a Spitfire ? With retracts, flaps, and electric power, 7Lbs - 2oz flying. Nice Spitfire, I will have to call mine a medium not a light. Must fly very well at that weight. Dave Boddington once told me a story about one of the Old Warden scale events and whilst doing the commentry the fact sheet had the detail for a DB Spitfire was powered by an FS 90, Dave said that was not possible as it was flying very well, better than a chainsaw powered example also at the event. When he got to speak to the builder he found out that it was in fact 90 powered and the builder had gone to great lengths to reduce the weight. Later in the day this Spitfire was involved in a Midair and was destroyed. Before Dave left the event he saw the original builder with a new kit under his arm claiming that the new one would be even lighter than the original as he had a few ideas to save weight. I will be glassing mine and painting so the finish will be adding some weight. This is my existing number 3 version. 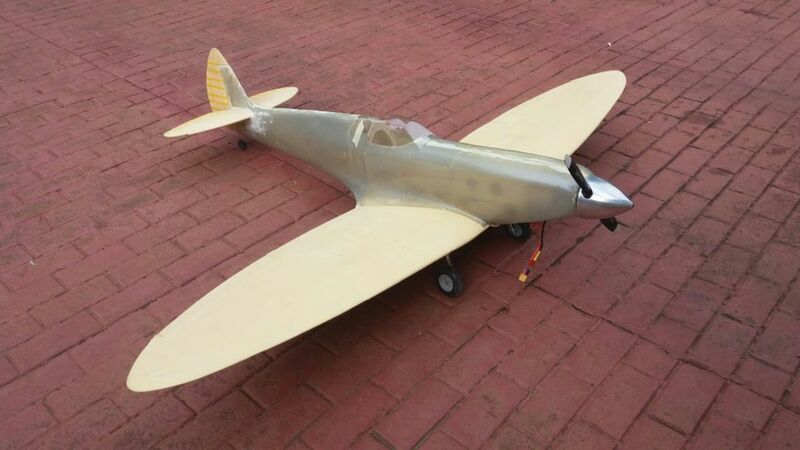 Weight is an interesting thing as i have flown models in the past that were too light. Certainly from my experience an 80 inch warbird needs to be between 17 and 22 lbs to fly nicely. I know its not quite that simple as a bit over/under is fine. My Mick Reeves Hurricane was lovely at 14lbs but i flew one at 11 and it was awful. 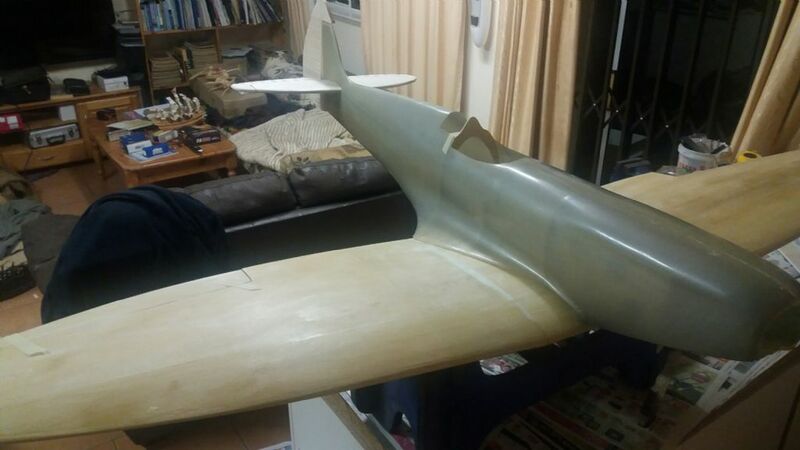 On the flip side my sea fury is 23lbs andis great but i dont think it wants to be heavier as it would start to become a manhole cover. Managed to get some good work done this weekend, I have joined the wings and glassed all the surfaces that need to be glassed. I am working on the tail surfaces now. Weight is quite good wing is 820 grams un glassed and 1040 glassed. In Johannesburg the air density affects the performance quite a lot, especially in the heat that we have been experiencing. I agree that weight can be an issue if too heavy or too light. I hope to find a happy medium. Heavy aircraft such as the ESM range of kits fly very well but are better in some wind. That seems to be born out by the following comment I found on line regarding my (rather slow) current 1:6.5 scale project - seeing another current thread I'm really glad I bought the engine well ahead of completion! Weight and power in combination are important as many of the early designs were built according to weight and power limits at that time. This Spitfire was designed for a 10cc motor, not sure I would like to fly it with that power. I have filled the weave of the cloth with what we call Pollyfilla light which is a Spakel type filler. I wet sanded the filler into the weave. 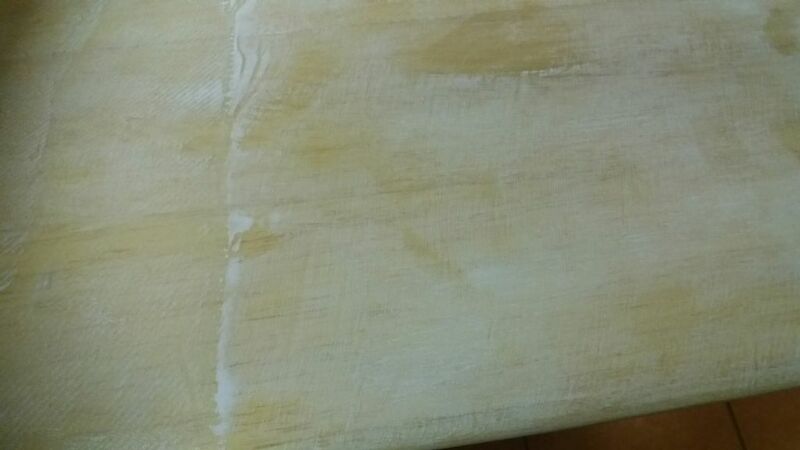 Once dry I sanded with 150 grit sandpaper and am ready to spray with MS primer. 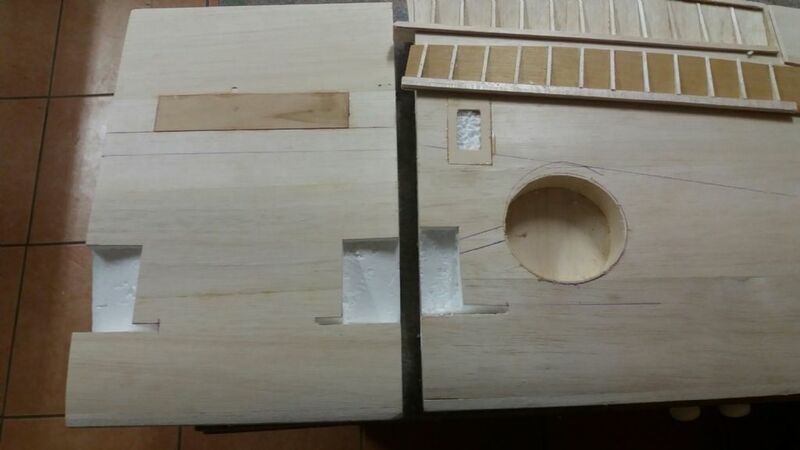 The tail surfaces have been sanded to shape and I am starting with servo mounts and making up the push rods, I still use dowel push rods. I am quite happy with the progress. 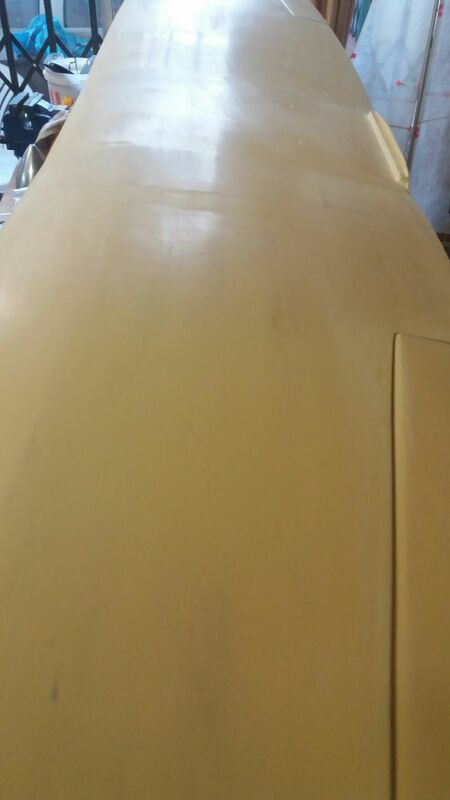 Another weekend past and more progress made, spent the afternoon outside in the shade of a big pine tree so I could spray the MS primer and then sand it down. 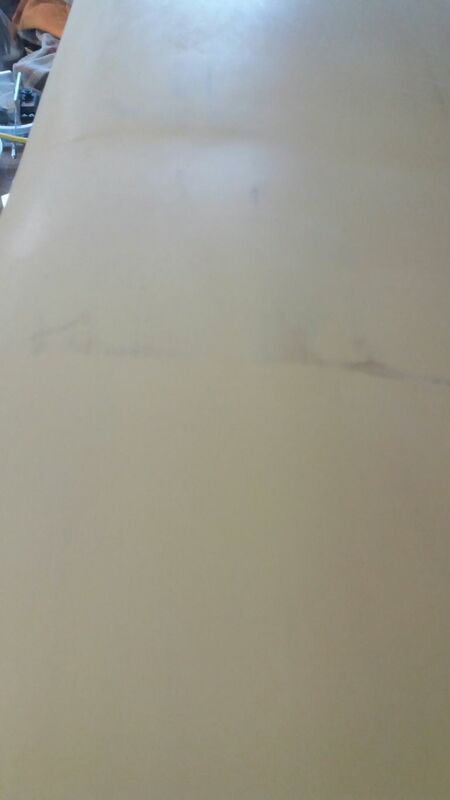 It was another warm day in Africa so the paint dried fast and was then wet sanded. This is one of the tasks that I enjoy the least so I am glad it is now over. Finish is quite good with only a few areas requiring more attention. I use a balsa block wrapped in wet and dry paper, 320 grit, to get a smooth finish. I try to sand as much of the MS primer off as it is very heavy. Been a while since I have done an update. 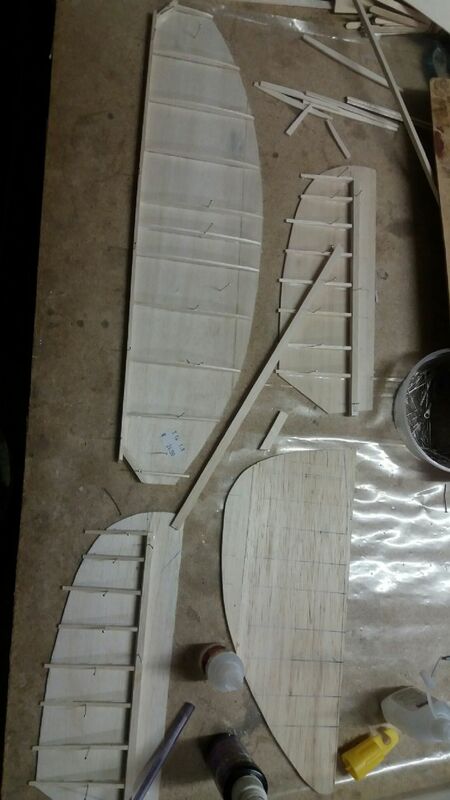 I covered the elevators and rudder in Solertex and added simulated rib stitching with thin copper wire glued in position with cold glue. 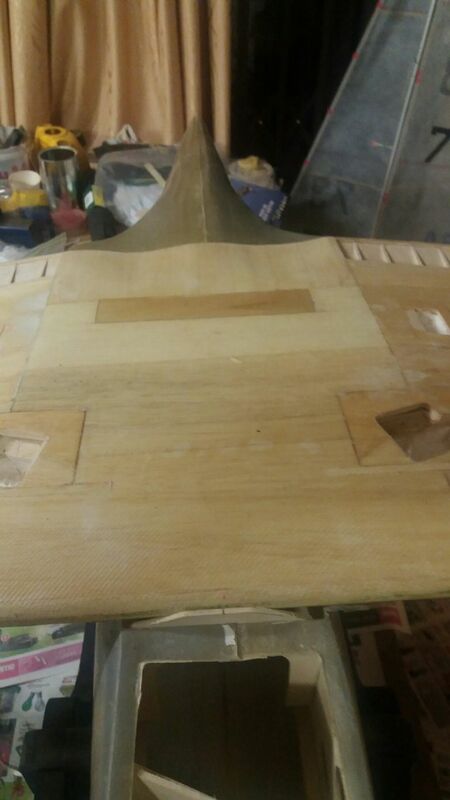 Strips of torn Solertex were added, we do not have access to the cut strips on offer like Mick Reeves does. The serrations on a 1/6 scale are so small that the torn edge does not look bad. The radio installation is complete and power checks are being done to find the correct prop. 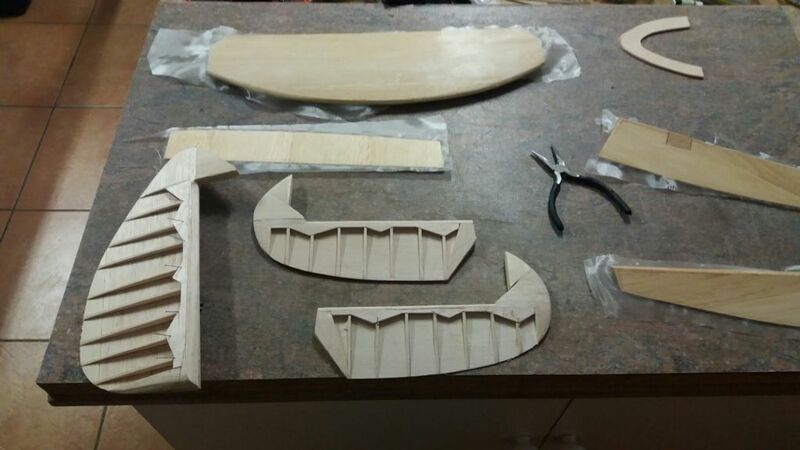 I am not sure how the Hobby King prop sizes are done as I never find them even close. 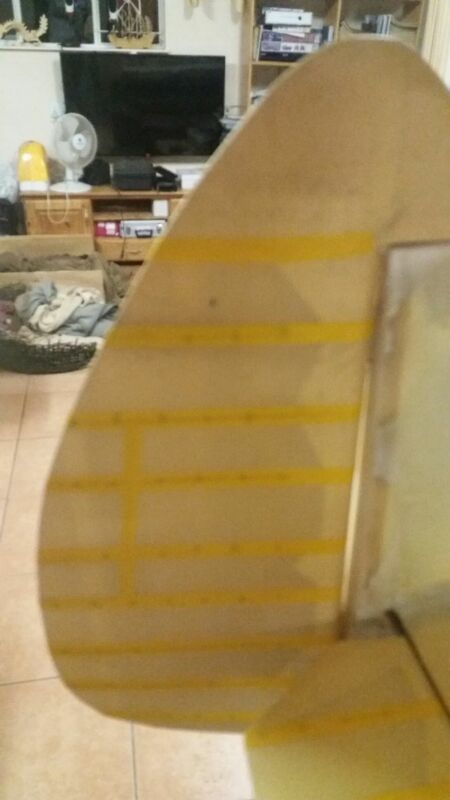 The plan is to test fly and when happy I will paint it, All up weight is just under 5 kg ready to fly. Only 100 grams of lead was needed to balance so this is least I have ever needed. I have just returned to work after some leave and whilst on leave I had time to test fly the new Spitfire. I was very happy wit the overall performance and also very little trim was needed. Flight times are very good, 5 minute flights used 1700 mah and the packs are 3700 mah so 8 minutes are possible. 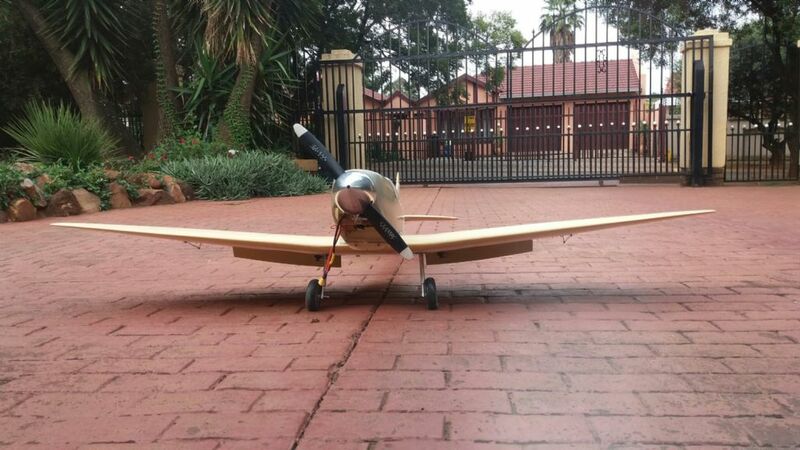 The power is great and it is easy to see that the large prop is more effecient , take off is around 2/3 throttle. I flew the other Spitfire 2 days later and found that I was using more throttle for most of the flight. 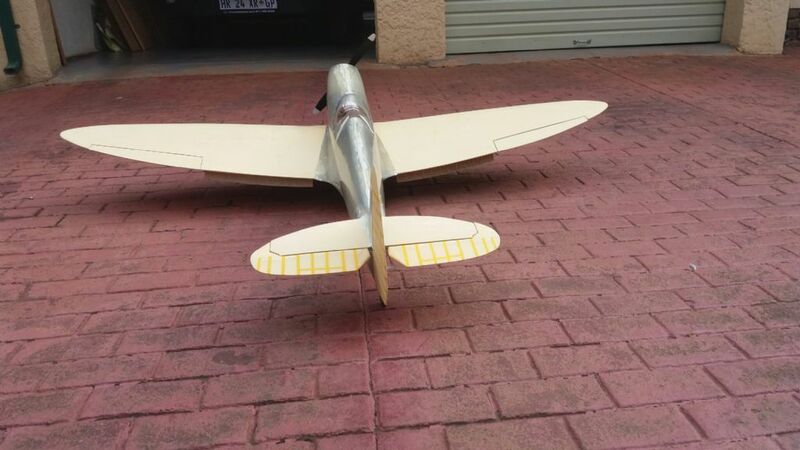 My son also flew the Spitfire and said it is the best one that we have ever had which is something as I have had so many great flying Spitfires. The Propdrive motor has lived up to the bad press as the magnets have come loose after only 4 flights so I now have to fix it or replace it.